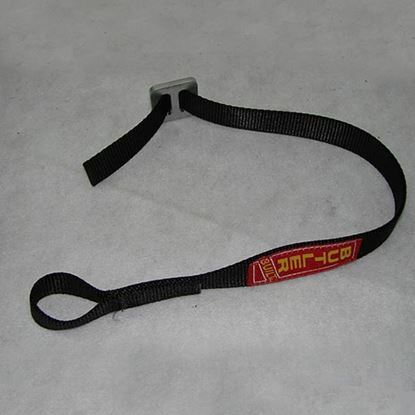 Torque tube pad replacement straps by ButlerBuilt – racecar seats. Price is for a set. Drag Link Tether - 30"
• Keeps drag link from whipping violently in the event of a broken drag link or rod end. • Constructed of the highest quality 6,000 lb nylon webbing. • Uses (2) 3-bar adjusters OR one end has a 3-bar adjuster and the other end is sewn with Kevlar thread. Integrates with ButlerBuilt Front Axle Tethers.